For many in the industry, Bruce Meyer represents the ultimate car collector, but he prefers to be called a “Rabid Enthusiast.” Any reference to a car collection is quickly corrected; “Oh these things. They are just neat things,” he says. The real truth is that Meyer is a seriously elite collector. A premiere car collector that doesn’t just look for cars. He finds very special cars. Important cars that have been a part of history. We managed to get invited to see part of Bruce’s collection at his garage in Beverly Hills, California. We were sworn to secrecy about the location, but we can tell you that no one would ever guess there was a car garage filled with one-of-a-kind cars that are driven often. We were joined for a small gathering that included some icons that we grew up with: Ed Pink, Roland “The Hawaiian” Leong, Ivan “Ironman” Stewart, Don “The Beachcomber” Johnson, Nick Arias Jr and Nick Arias III, Pete Chapouris, Albert Arciero, Lenny Emanuelson, and the wonderful Linda Vaughn. Sadly, we’ve lost Nick Arias Jr. and Pete Chapouris since that day. Both of these automotive giants passed away in January of 2017. On this day, Bruce Meyer hosted some of the industries most loved icons. The late Pete Chapouris and Nick Arias Jr. were in attendance. Linda Vaughn, Ivan Stewart, and Ed Pink also made the trip. Bruce claims he started collecting cars in 1964, when he sold everything to buy a 300 Gullwing Mercedes. The Mercedes had a beefy 327 Chevy shoehorned in the engine bay. 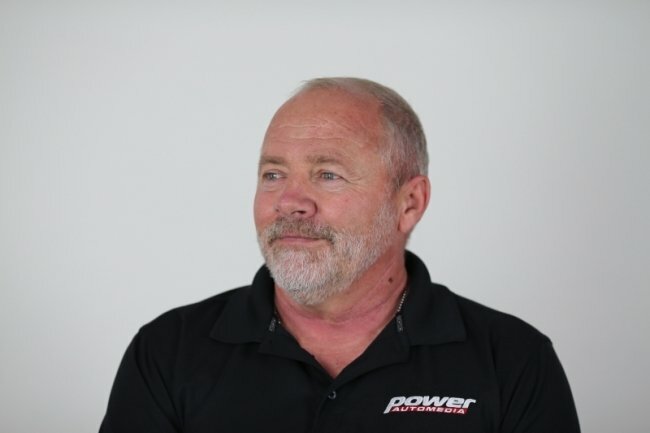 According to Bruce, “To me that was what it was all about, getting all that power under the hood.” Realizing that power wasn’t everything, he kept the car for slightly over a year before selling it to a fraternity brother. Meyer tells a captivating story when he gets on stage. Meyer's collection includes the very first production Shelby Cobra made. The dash is even signed by Shelby. This 1965 Iso Grifo Bizzarrini achieved a Le Mans class win in 1965, and a 9th overall in 1965. Meyer loves to show off the hot rods that were made by fat guys in T-Shirts. The 1960 Briggs Cunningham Le Mans Corvette is considered one of the first major entries for an American carmaker in European racing. Claiming a class win and eighth overall in 1960. “Ten years of begging and I think they did hot rods at Pebble Beach ’97, just to appease me, and it was such a huge success. They’ve done them every other year since. Meyer's Le Mans winning 2009 Chevrolet Corvette C6.R is preserved in the exact condition that it raced on the track. Meyer claims the smashed bugs in the grille are French bugs from Le Mans. That, dear friends, is what it takes to be a rabid enthusiast. Street Feature: What Does It Take To Be In The Street Muscle Garage?